Exploring the Canary Islands. 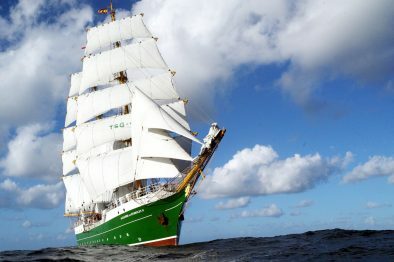 Take a week off from the autumn weather and board Alexander von Humboldt II for a tropical sailing adventure! The Canaries boast wonderfully balmy weather and good winds all year round. Take in some sun to charge your batteries for the wait for spring, enjoy sailing on the blue sea, admire the landscapes and discover wonderful wildlife. The official language on board is German. 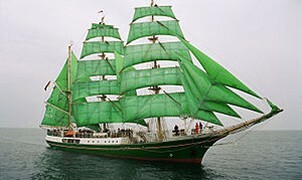 Extra fee applies: € 50,- per person for harbor fees, pilotage, etc. Surcharge for 2-bed cabin 25% p.p. For all Windseekers, minimum age 18 years. 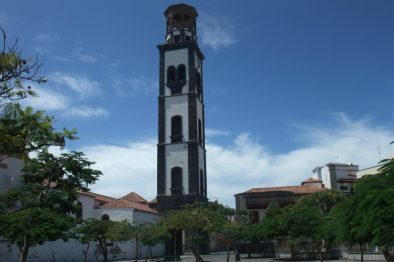 Santa Cruz de Tenerife is the shared capital of the Canary Islands, together with Las Palmas de Gran Canaria. The central square Plaza de España is a real eye-catcher, situated between the ocean and the old, bustling city centre. Lose yourself in the crowded alleys, find a spot on one of the terraces, or leave town and discover the rugged volcanic landscape. The museum of Nature and Man is worth a visit. Chances are you’ll find pilot whales in the waters around Tenerife, so keep an eye out! "When anchored at sea in the sun, I had not a care in the world"
"TAKE CHANCES. IF YOU DON'T TRY, YOU'LL NEVER KNOW."